American History free homeschool lessons for twelve weeks for the colonial period covering earliest settlements, colonies and interaction with Native Americans. Ideal study for mixed ages 8 - 11. These lessons were designed to allow students to complete on their own. We used them in a group setting with a leader helping guide discussions. It was a great resource for those who missed a class to stay caught up with information. As we begin our school year, we look forward to friends joining us in our one- room school house approach to learning. What do you know about the Colonial Time? What is a Colony? What is the difference between a Pilgrim and a Puritan? What was the name of the Indians that helped the new settlers in Jamestown and Plymouth? 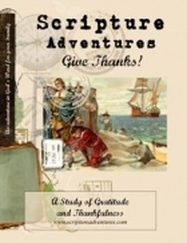 INTERACTIVE Read through Remember Patience Whipple’s diary of her voyage on the Mayflower. Click to turn the pages and use the links to see more. Do the activities. *Fill in this worksheet as you listen. *Answer the questions on the Mayflower Compact (Mayflower Compact Impact). Try to get a FEEL for living in this time period. Play: Explore the lives of colonial Americans-slave and free, men and women, rich and poor. (Research Day coming up!! Pick up some library books on a couple of the people below for days 9 and 11) You might want to take a peek at these books too! Choose 2 settlers to write a biography page. Be prepared to share about one. READ: visit the Tinas Dynamic Homeschool and read about the Iroquois Confederacy. WRITE: Part 2 has minibooks to add to your history binder. Pick 4 to complete and add to 1 page. Review: the pictures in this article that were drawn/painted and quotes by individuals during colonial times. Pocahontas: what did she look like? Hobomok -- check out this lost hero of our country! Watch this video about “The People of the Longhouse“. ​We LOVE hands on unit study activities. These lessons were created to meet the needs of our large home schooling family with students ages 7 to 11. Gleaning resources for classrooms, virtual schools and other home school families we hope to create a love for learning that will create lifelong learners and leaders. These lesson plans would be ideal for a mixed group setting in a homeschool co-op classroom. Designed to last about an hour. We have included FREE unit studies that relate to each unit. Also included is our daily lesson plans (especially useful for those with younger students). Each 'day' is actually an individual mini unit study created using online and library resources so ANYONE can benefit from them! CELEBRATE ALL YOU HAVE LEARNED WITH AN INTERACTIVE GAME!